I'm in love with this new look! 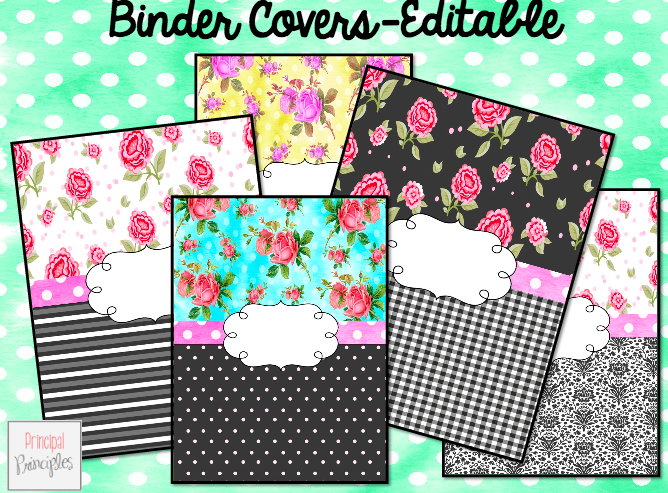 SHABBY CHIC BINDER was inspired by a wonderful fashionista who is very popular right now. I love the colors but I also love that it is practical because it is totally editable. 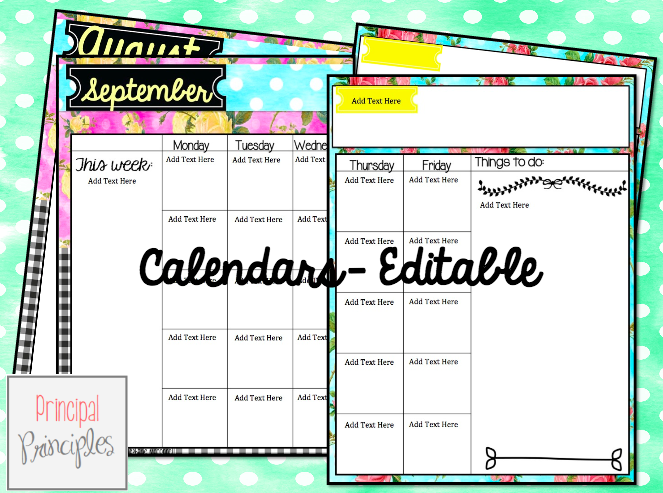 I have inserted text boxes that allows you to add cover titles, insert info in the boxes on the calendars and type notes. 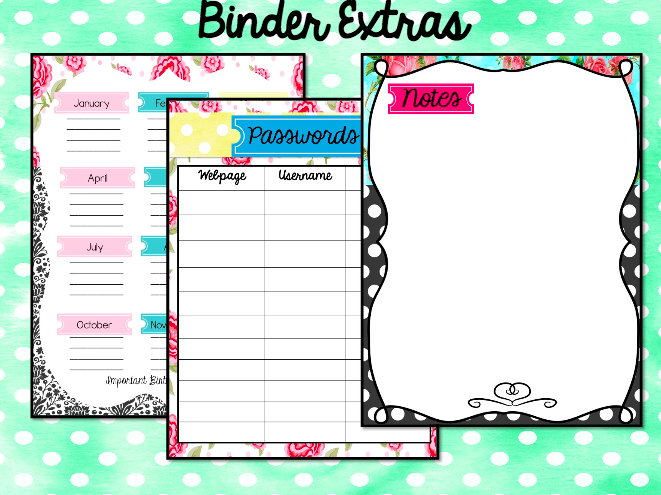 There are some binder extras: Birthdays, Passwords and Notes. These are also editable. Just use the text box that I inserted and just add your own info. 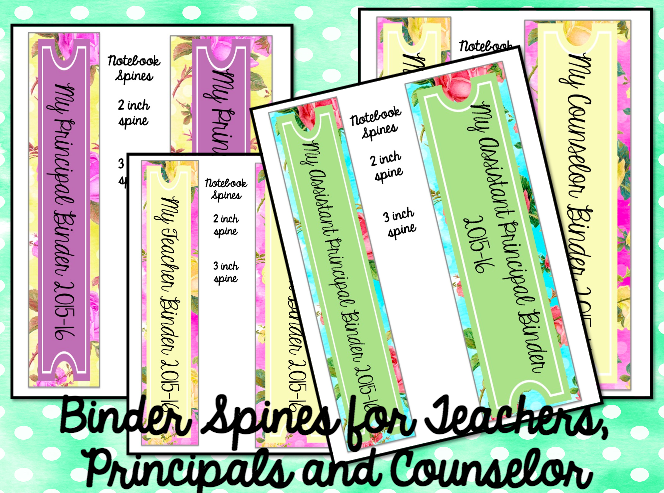 The Shabby Chic binder can be used by teachers, principals and counselors. The binder spines are included in two different sizes - 2 inch and 3 inch I think it would be great if all teachers, principals and counselors on the campus used the same binder. I love organization and when it is all coordinated campus-wide...that's even better. The calendars are editable too.